Secretary to the Government of the Federation, Engr. Babachir David Lawal has dismissed insinuations that he is responsible for the ongoing trial of some principal officers of the senate. 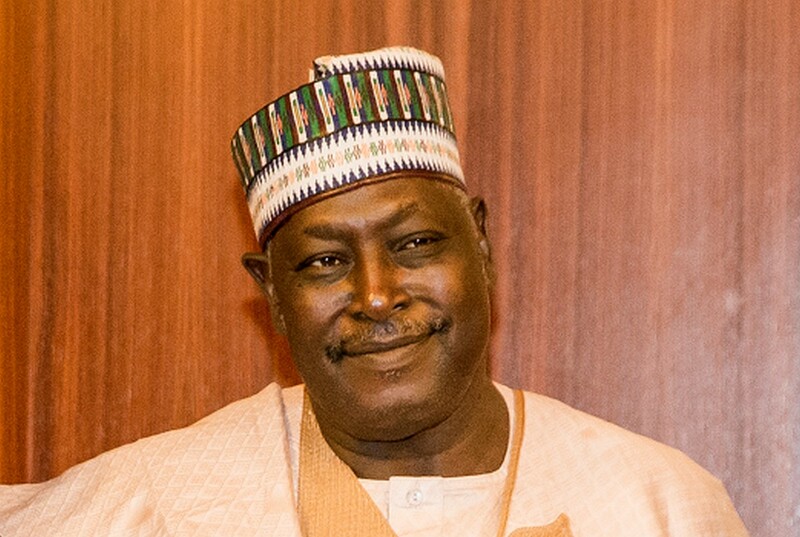 Reacting to statements credited to Senate President, Abubakar Bukola Saraki and his deputy, Ike Ekweremadu to the effect that there is now a cabal that have usurped the powers of President Muhammadu Buhari, the SGF described the remarks as uncomplimentary to the person of the president. He said rather than drag the entire National Assembly structure into the case, it must be stated that its only Messrs Saraki, Ekweremadu, Salisu Maikasuwa and Ben Efeturi that are on trial. In the statement he personally signed the SGF averred; “Since the arraignment of the President of the Senate, Senator Bukola Saraki and, his Deputy Senator Ike Ekweremadu before the Federal High Court on Monday, June 27, 2016, the two leaders of the Senate, have issued two separate press statements conveying messages that are far from being complementary to the person and government of President Muhammadu Buhari. Senator Saraki in his statement clearly insinuated that Mr. President is not in control of his administration and that a cabal now runs the federal administration. On the part of Senator Ekweremadu, he insists that President Buhari is exhibiting dictatorial tendencies that can derail our democracy. “From their statements, the two leaders of the Senate also gave this erroneous impression that by their arraignment, it is the entire Senate and indeed, the Legislative Arm of Government that is on trial. They want the public to believe that their prosecution is utter disregard by the Executive Arm of government for the constitutional provisions of separation of powers and that preferring the forgery case against them is a vendetta exercise. “Since this case is in court, the Judiciary should be allowed to do its job. However, it is important to emphasize that this case involves only the four accused persons and should not be presented to the unsuspecting public as involving the entire Senate of the Federal Republic of Nigeria. The complaint leading to the forgery investigation was reported to the Police by some aggrieved Senators who specifically accused certain persons. It is not the Senate of the Federal Republic of Nigeria that is involved and definitely not the House of Representatives. To bring the National Assembly as a body into this court case is totally unwarranted. It can only be for other purposes and reasons outside the investigation and legal proceedings. “A case of forgery is usually preferred against individuals. This is not different. As was the case with a former Speaker of the House of Representatives, who was accused of certificate forgery, what he did was to resign, honourably. The matter did not even go to court. In that particular case, it was never orchestrated as a matter for the National Assembly. The individual involved did not drag the entire Legislature into the matter. “Meanwhile the separate statements by the Senate President and his Deputy are indeed contradictory. While Senator Saraki believes Mr. President has abdicated his powers and that a cabal is in charge of Federal Administration, Senator Ekweremadu says President Buhari has become a dictator. “Our democracy is still evolving and being deepened. The provisions of the separation of powers are entrenched in our Constitution and should guide everyone in our conduct. The rule of law is indeed supreme. This particular case is before the judiciary and is not being decided by the Executive Arm of Government. All that has transpired is still within the confines of our laws. These are the rights to accuse, to be investigated and be arraigned before the court.